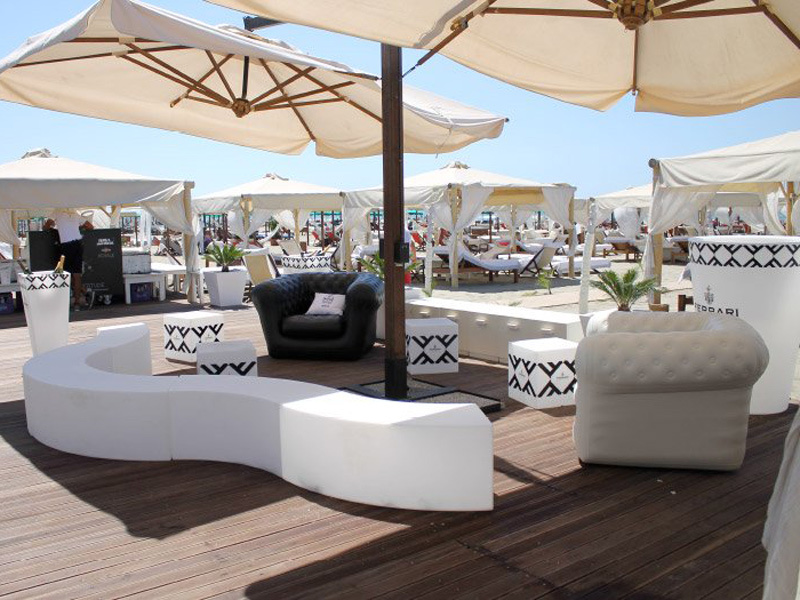 Our customized luminous furniture gives a touch of refined and elegance to Ferrari brand in many famous Italian resorts and lounge bar. 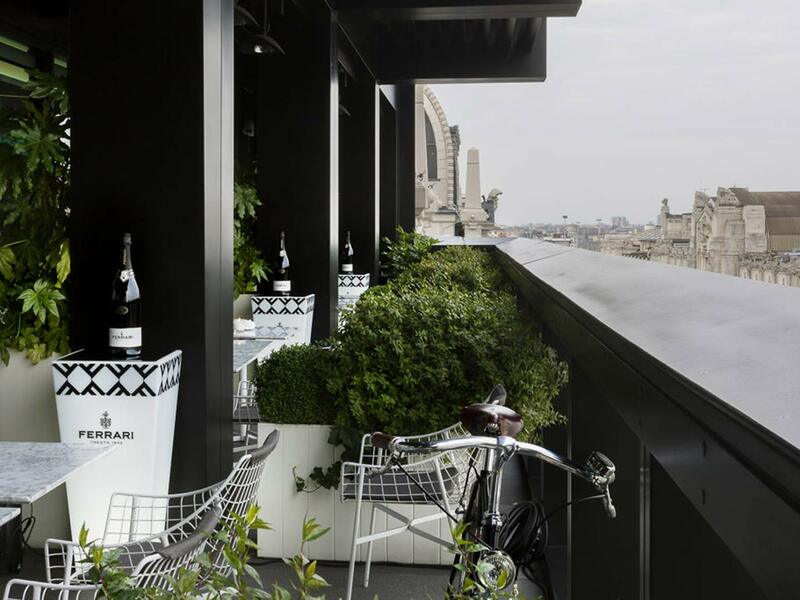 Ferrari sparkling wines are marks of Italian excellence in all over the world. 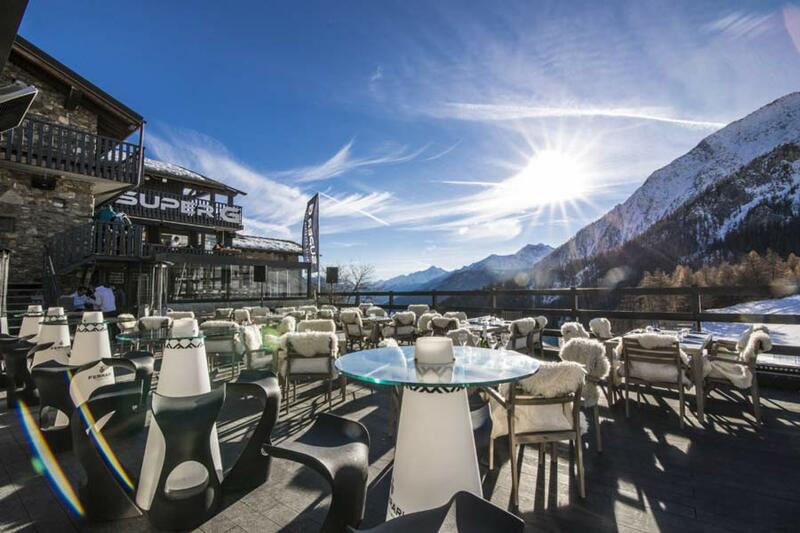 The luxury that Ferrari brand reminds is reflected in club and lounge bars in which it is presented, both in seaside resorts and in skiing resorts in Italy. 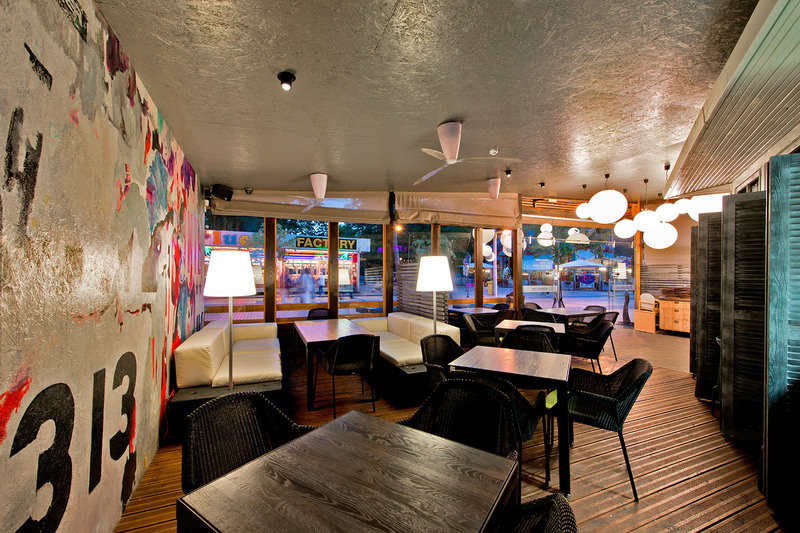 Our customized products are created ad hoc and they furnish renowed settings with luminous elegance and bright refinement. 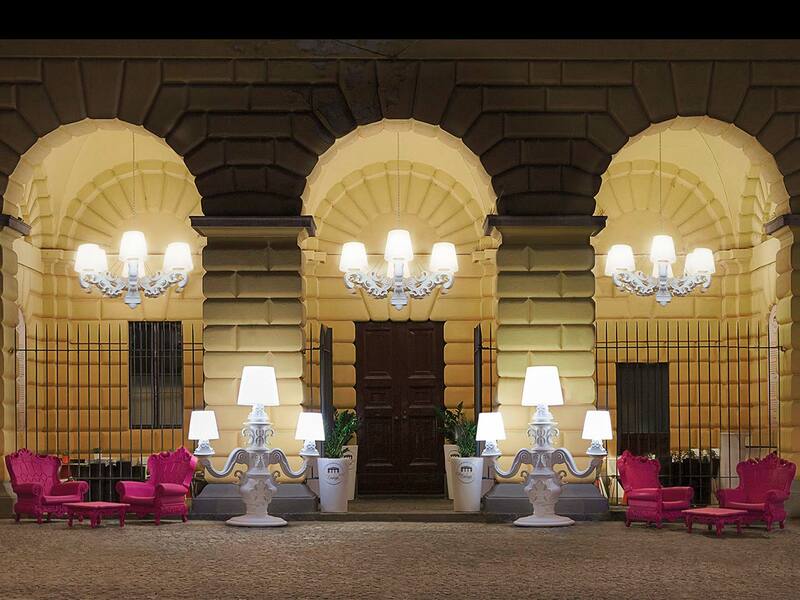 The luminosity of our products lights up Ferrari brand and let it to be more visible. 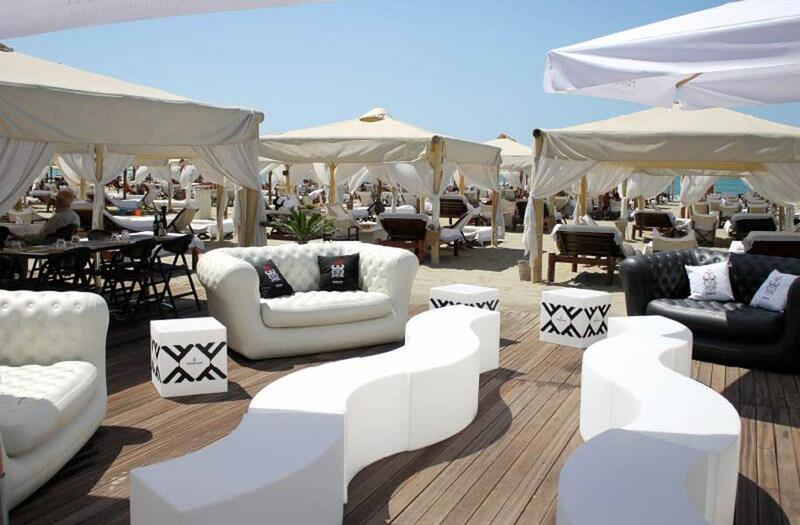 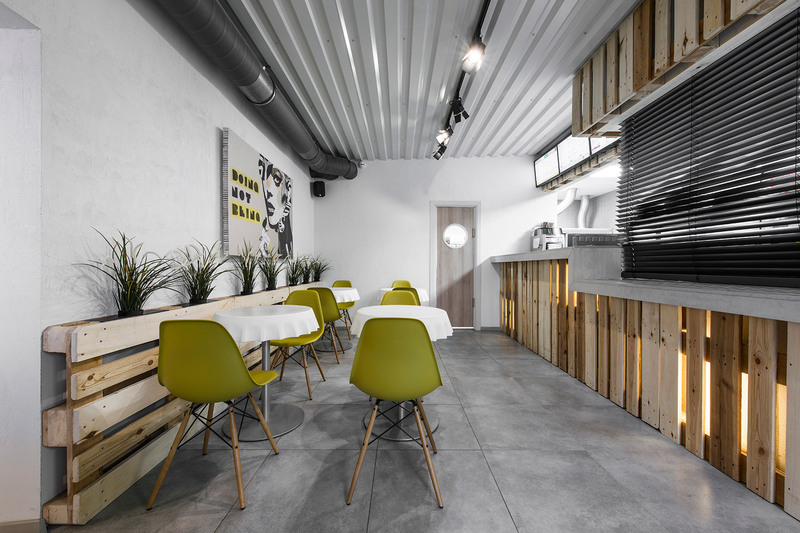 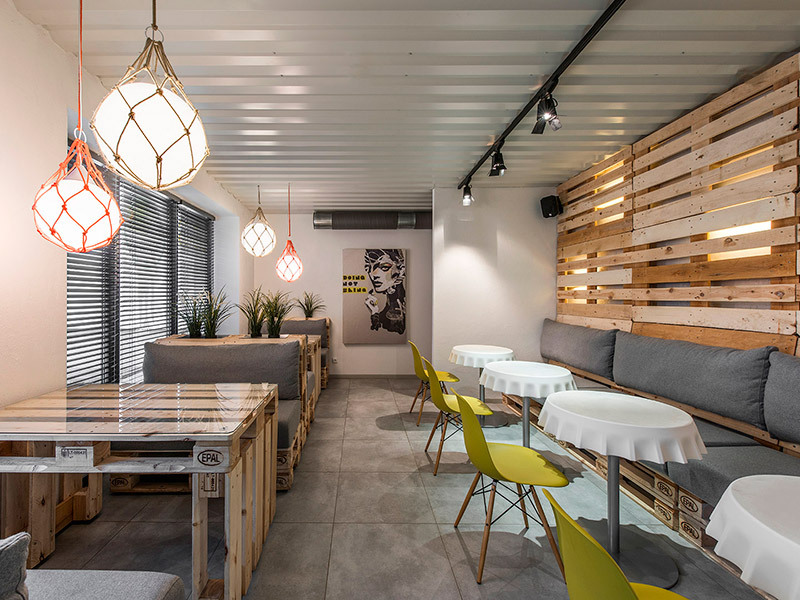 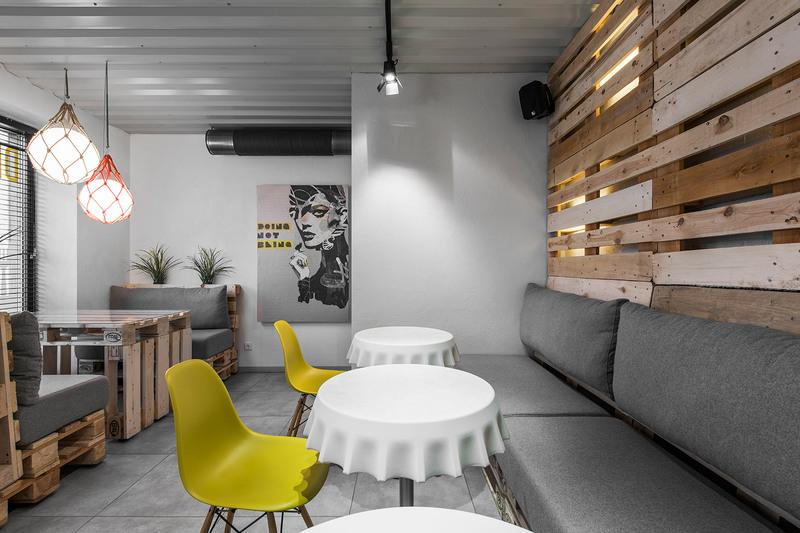 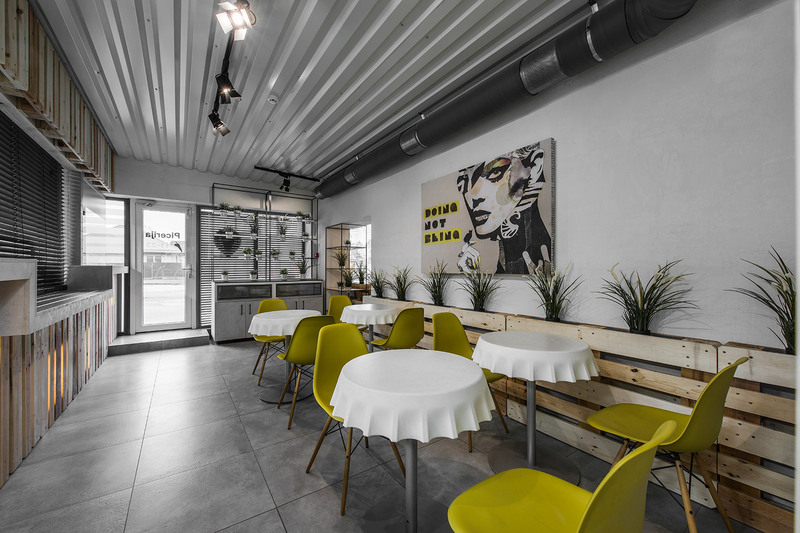 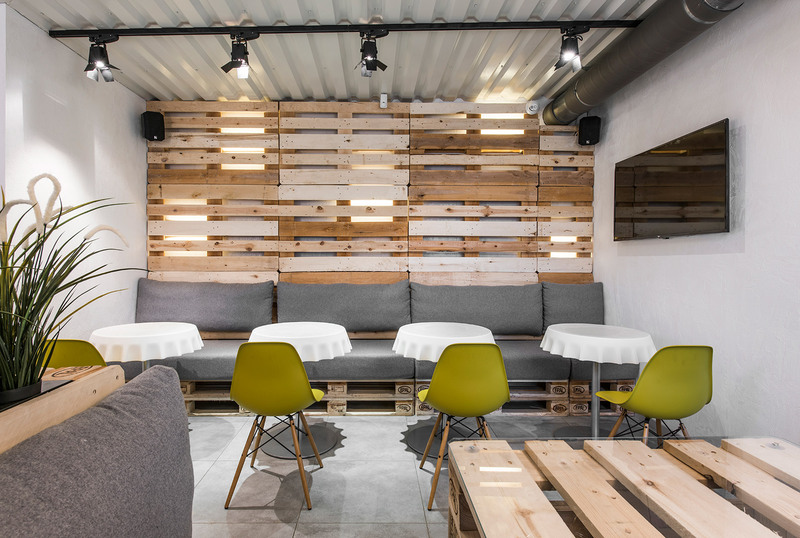 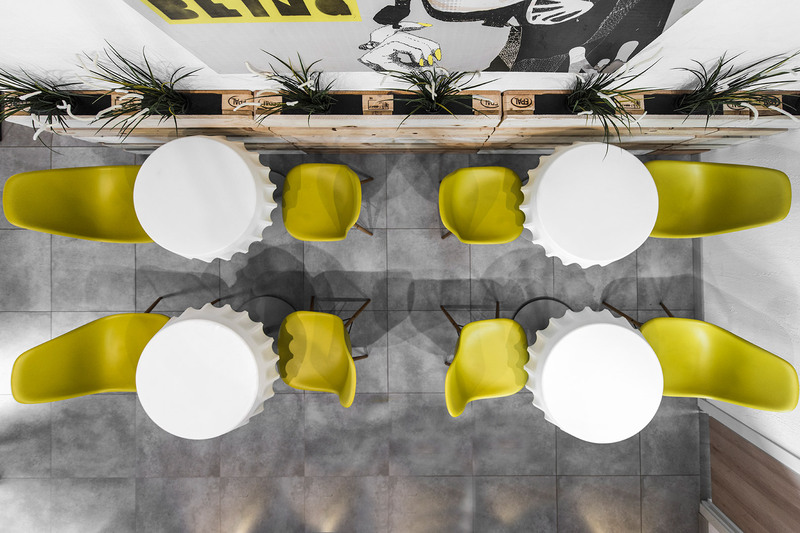 Slide's lounge Bar is a temporary lounge bar during the months of Expo Milano 2015, open from morning to night. 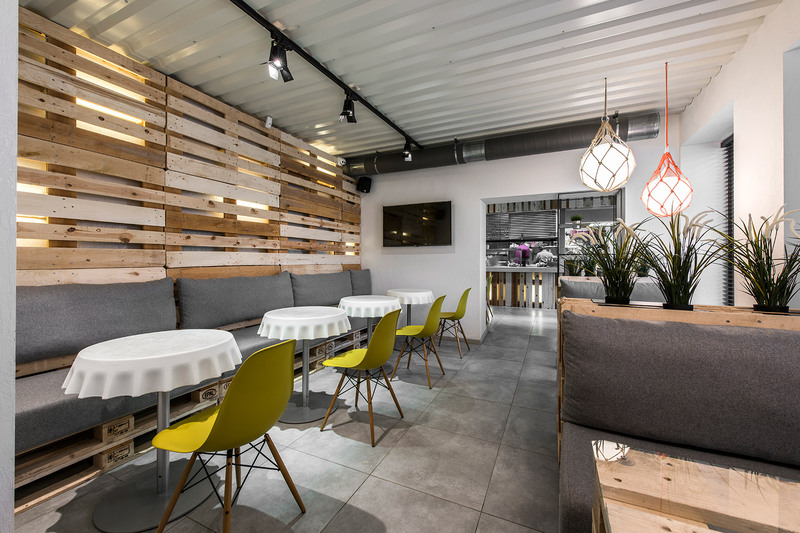 During the months of Expo Milano 2015, Slide created Slide Lounge, a bar open from morning till night and able to satisfy citizens and tourists thanks to its food and its elegance. 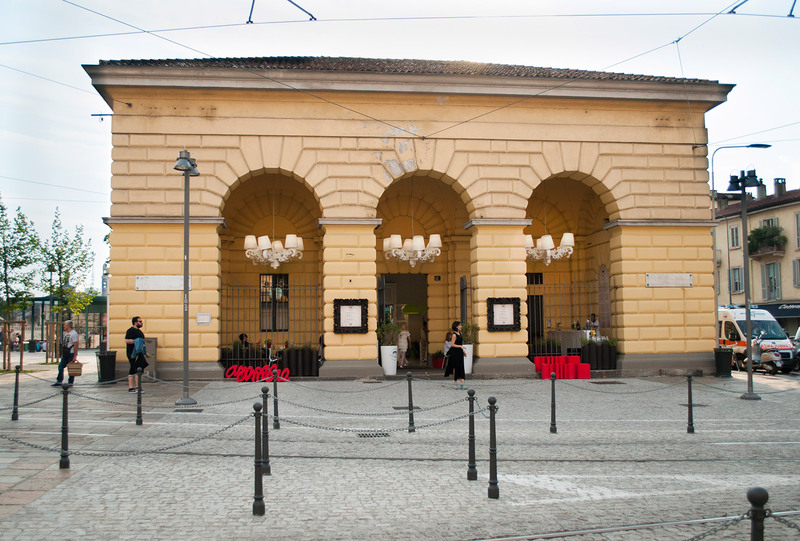 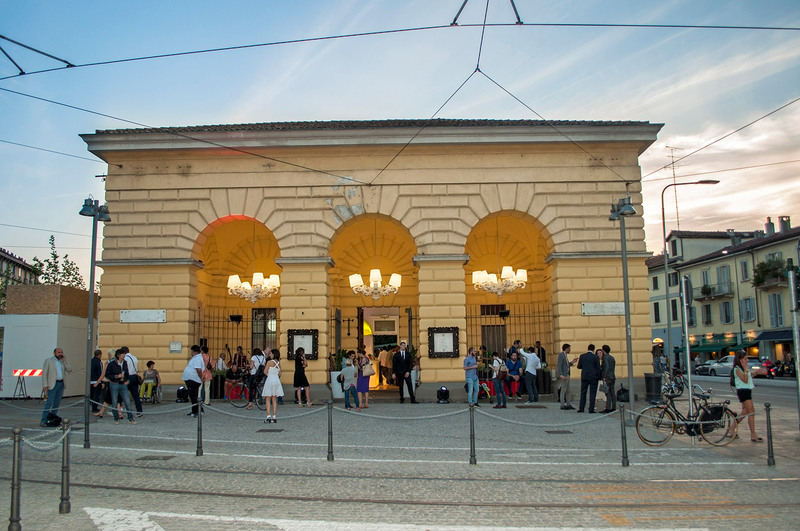 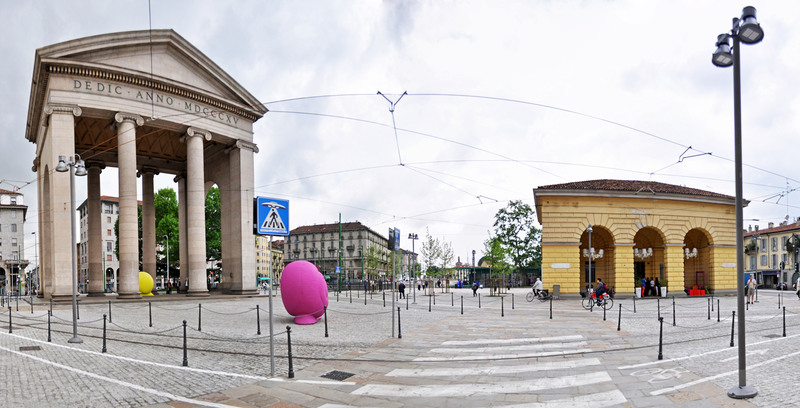 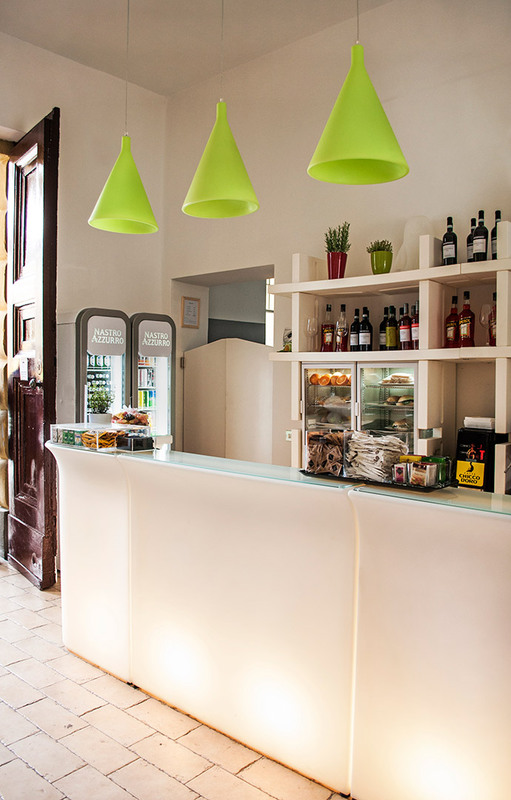 The lounge bar is in one of the two historical palace in Piazza XXIV maggio, just few minute from new Darsena area. 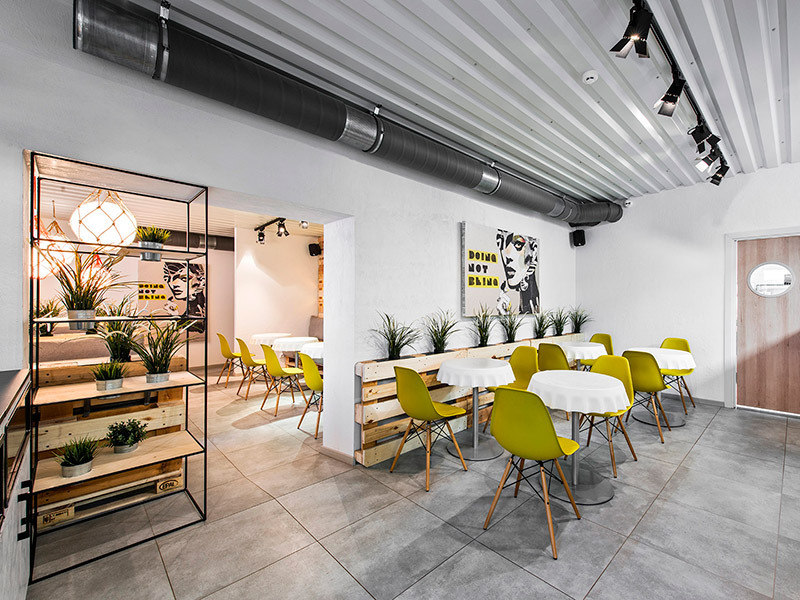 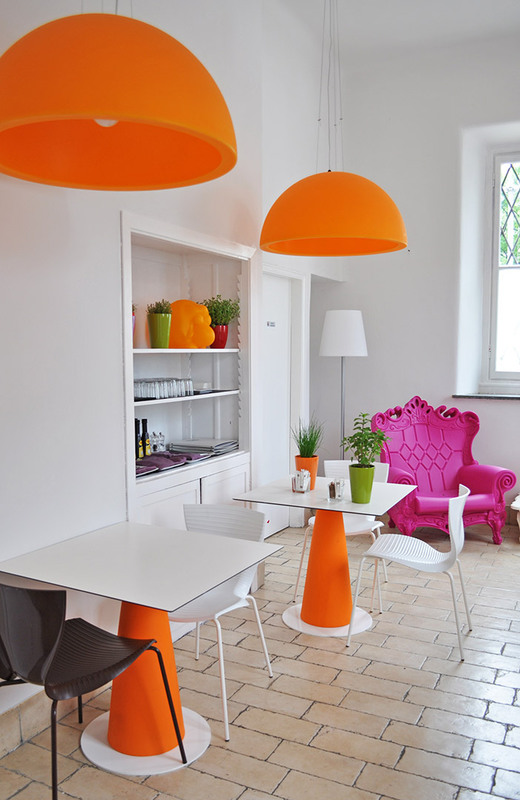 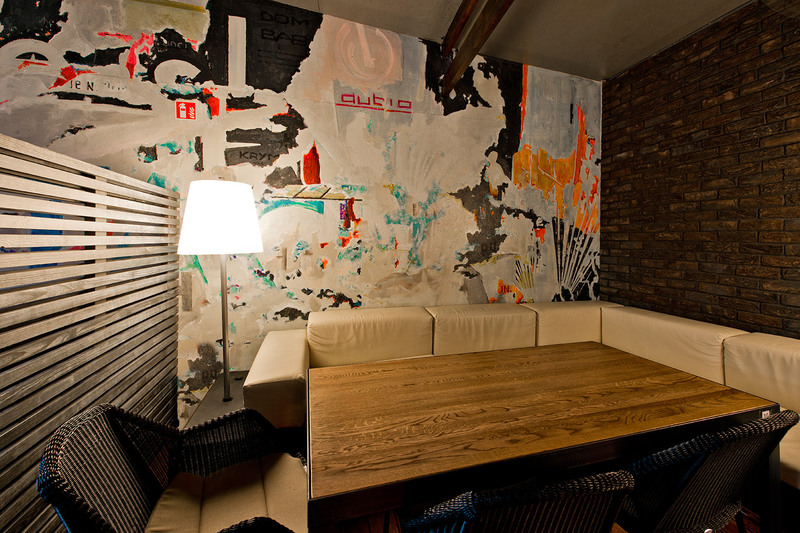 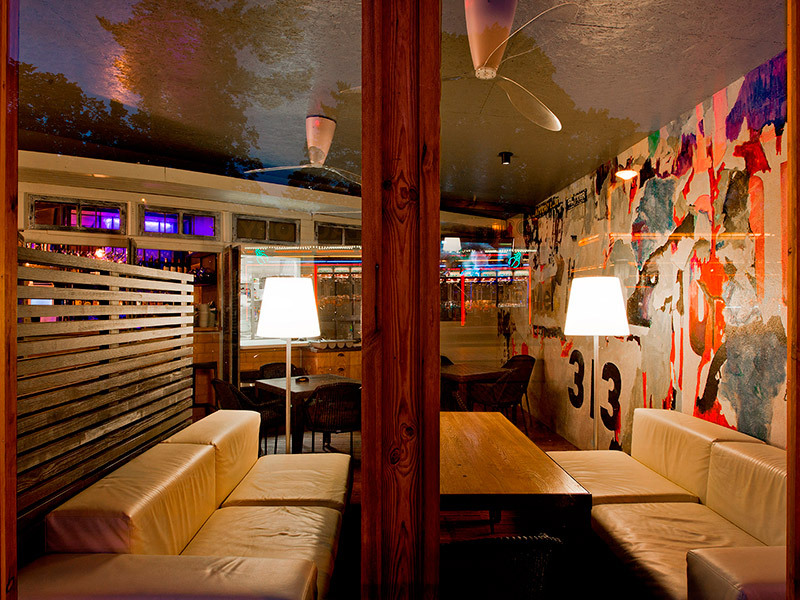 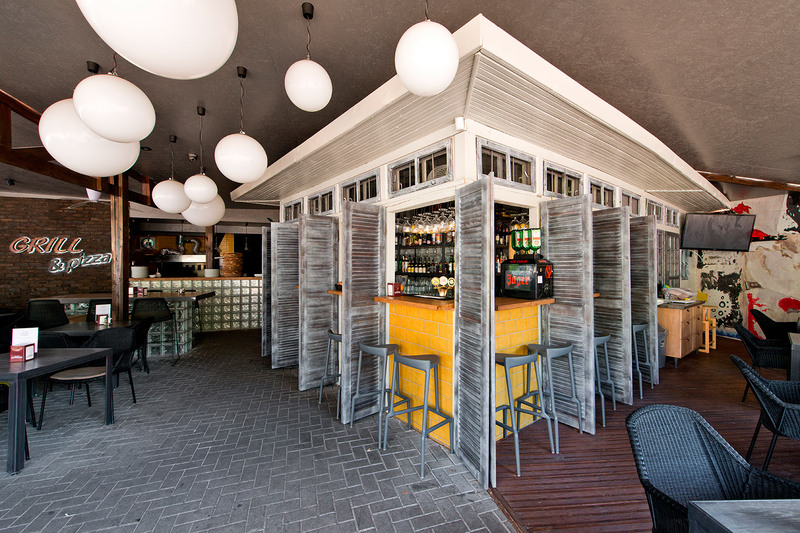 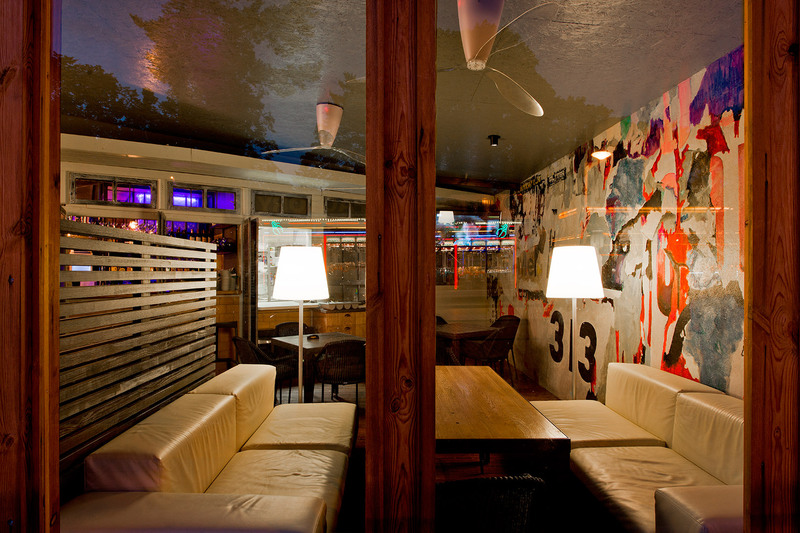 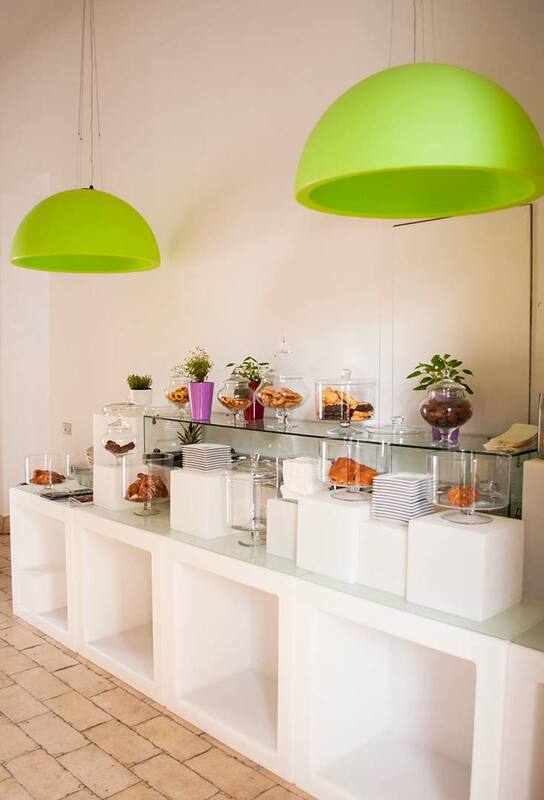 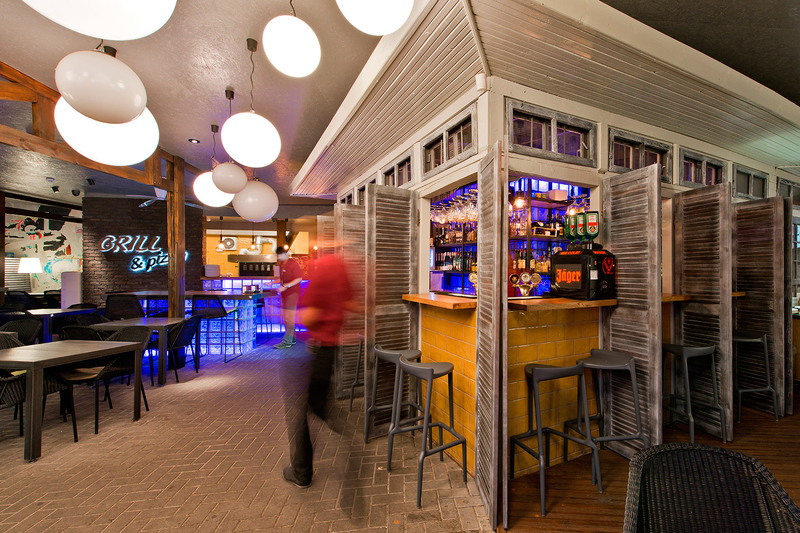 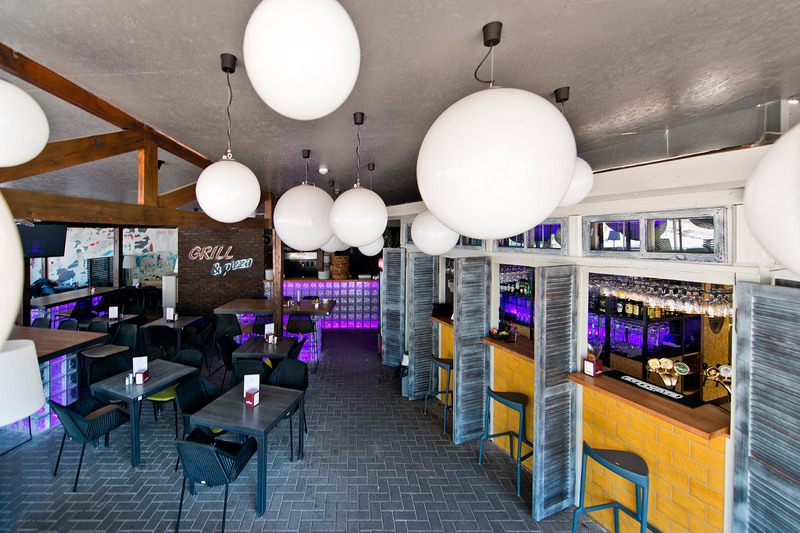 The whole restaurant is furnished with the colorful and elegant style that distinguishes our brand. 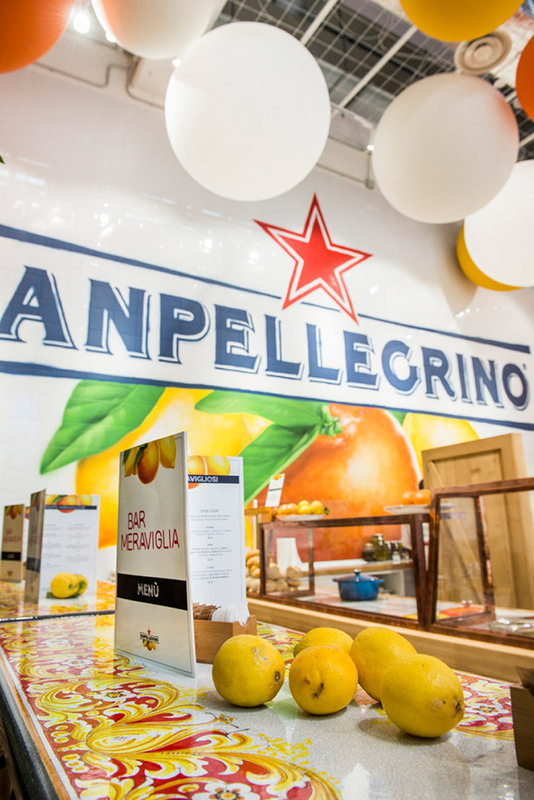 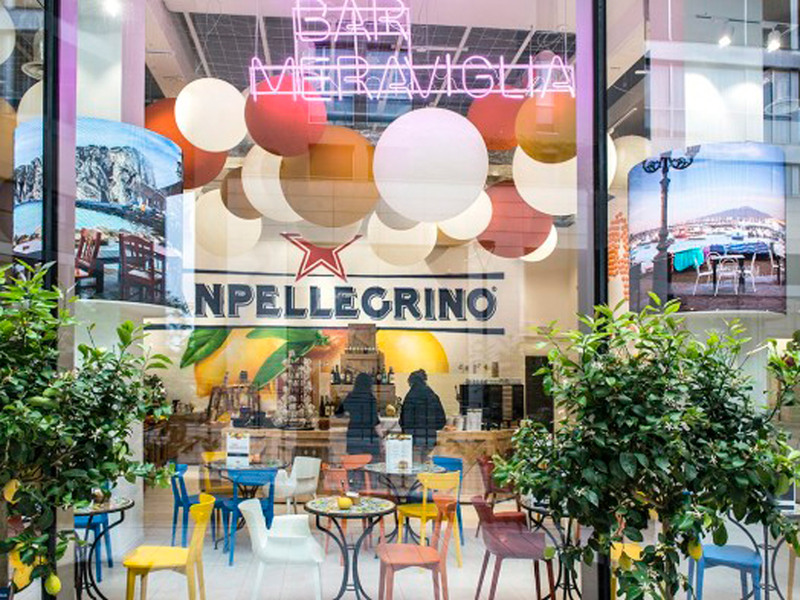 Colored and customized hanging Globo for the San Pellegrino Meraviglia Bar in Milan, a "bubble effect" 100% made in italy. 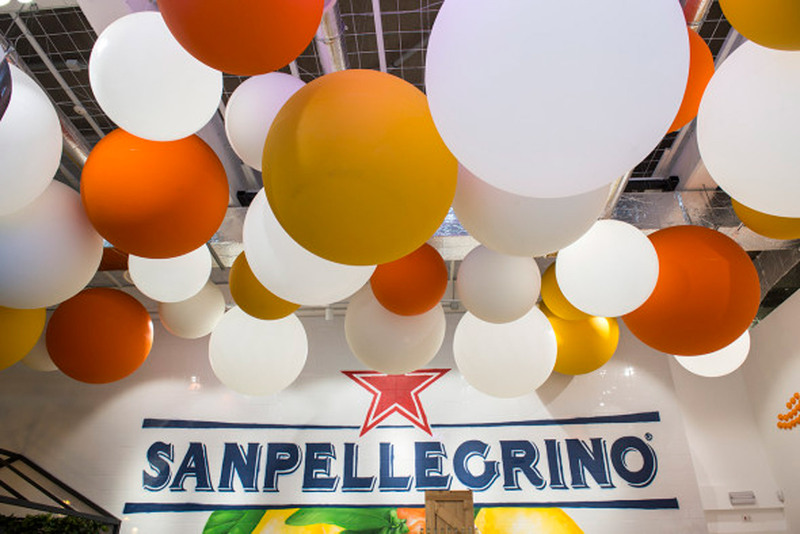 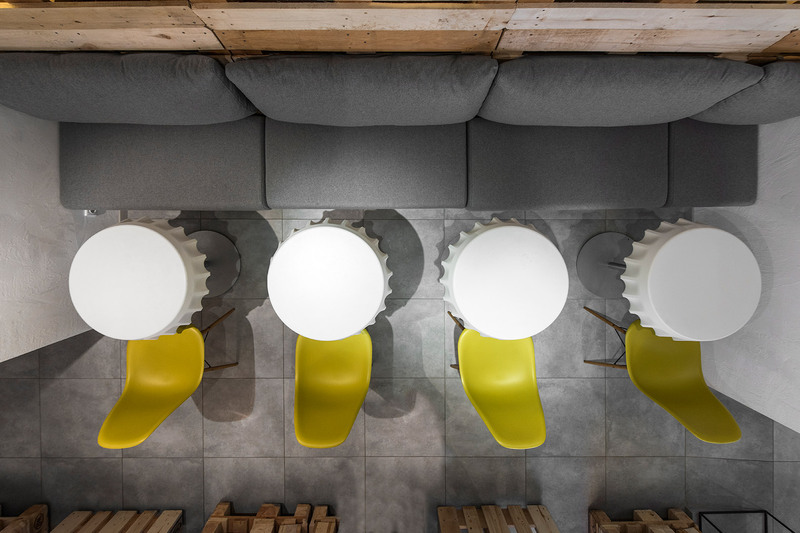 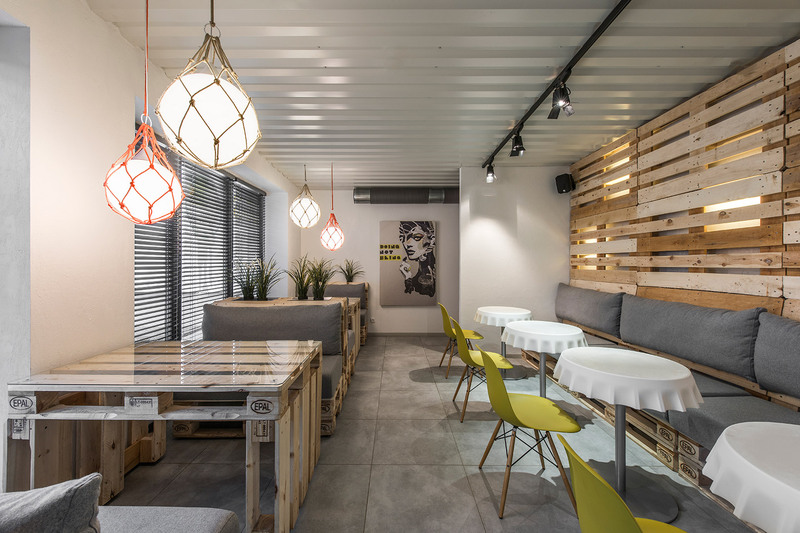 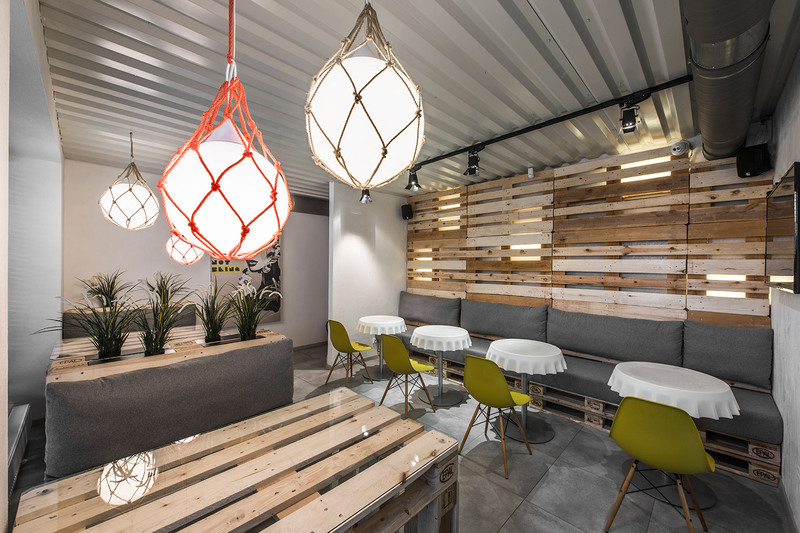 A customized Globo Hanging mix, made on demand for the lighting and decor of Bar Meraviglia, the temporary store created by the San Pellegrino brand in Milan. 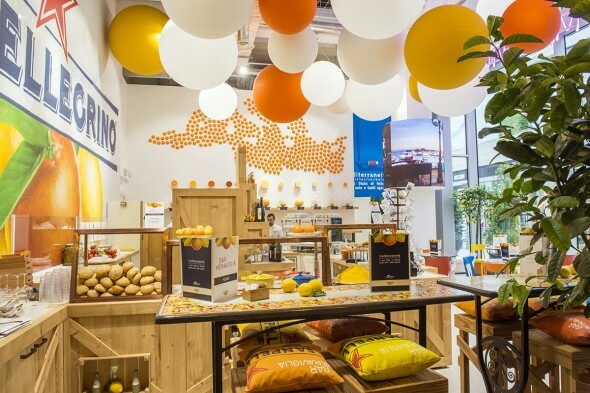 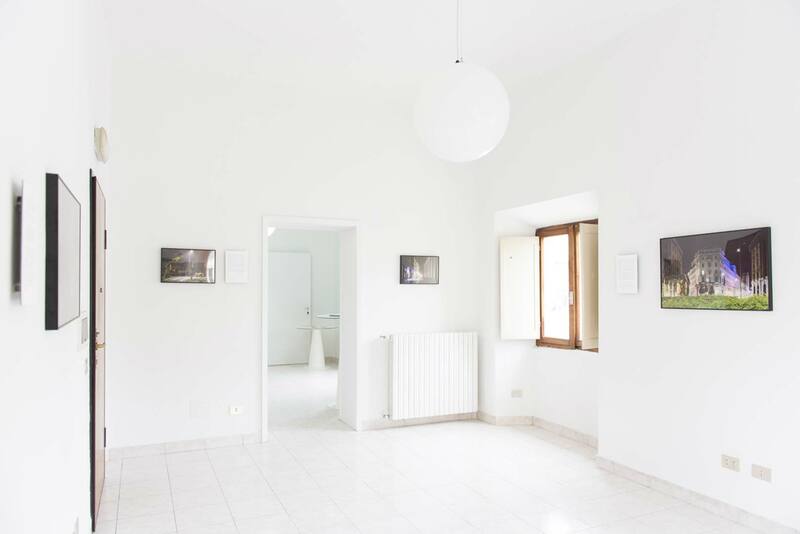 For Bar Meraviglia we have made a mix of Globo Hanging in different sizes, in the classic light white version, combined with white, yellow and orange balls, which recall the freshness of citrus gardens. 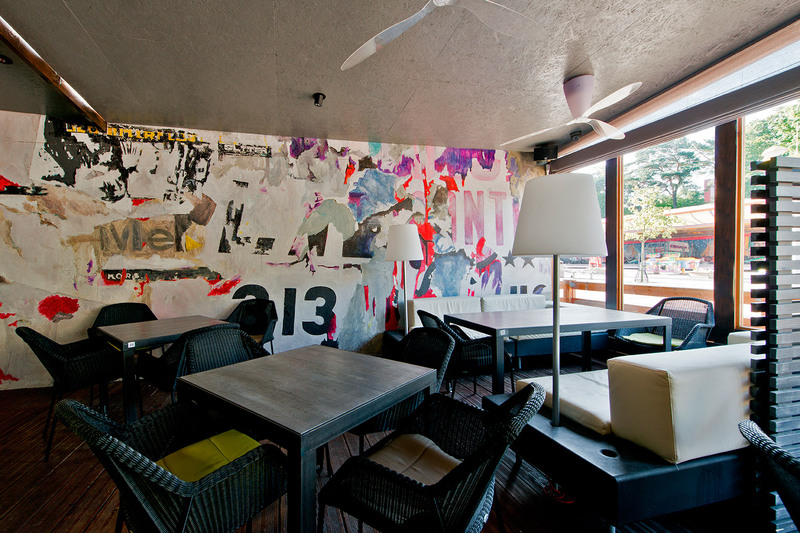 Our design elements combine with the natural beauty of flora and other furnishing elements. 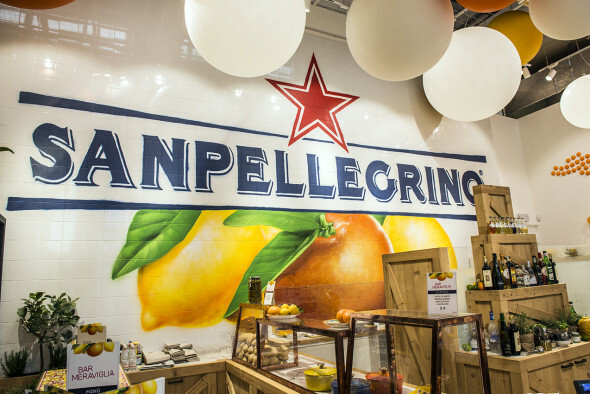 The project was born thanks to the collaboration with the New Retail Concept. 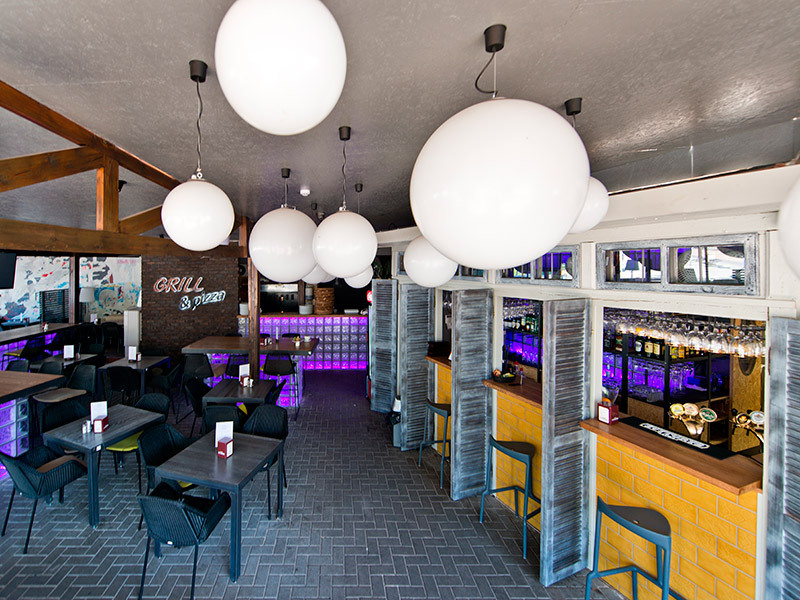 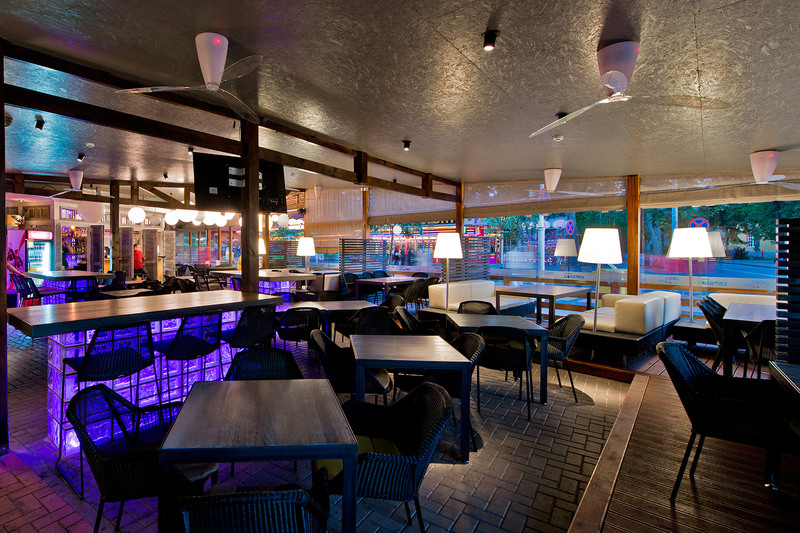 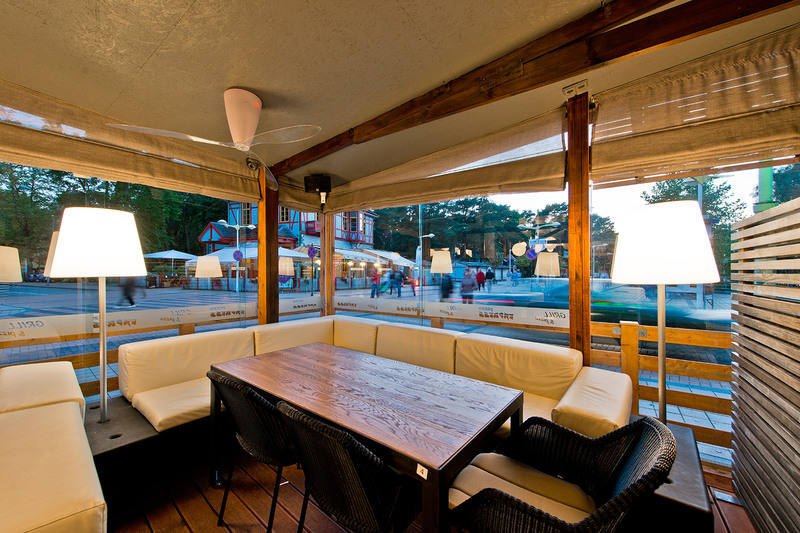 Restaurant and bar in Palanga, Lithuania. 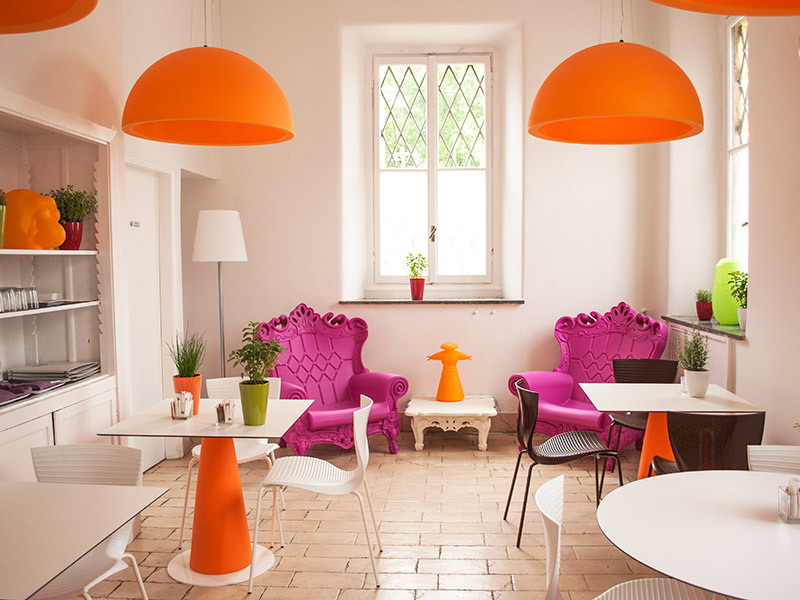 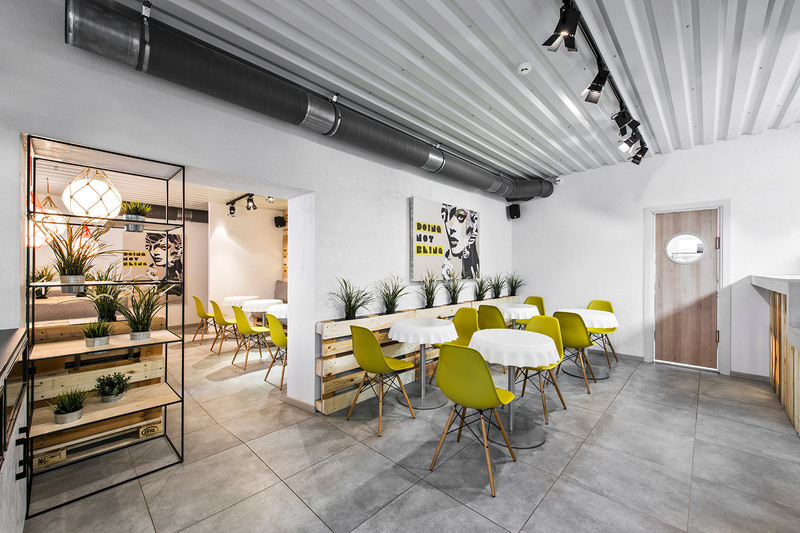 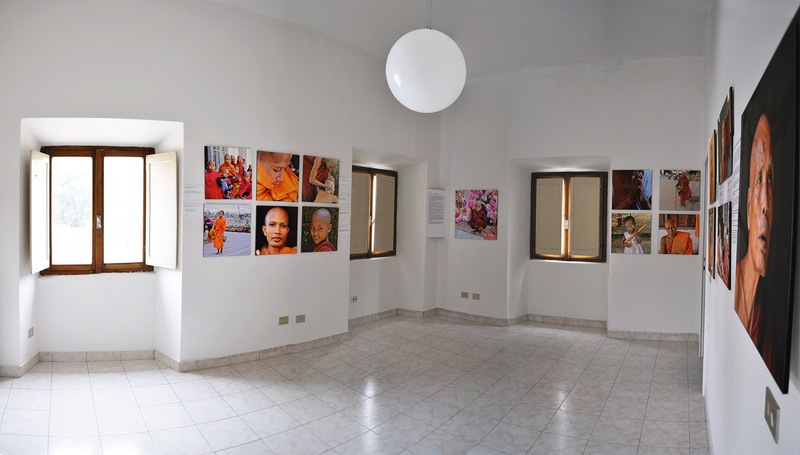 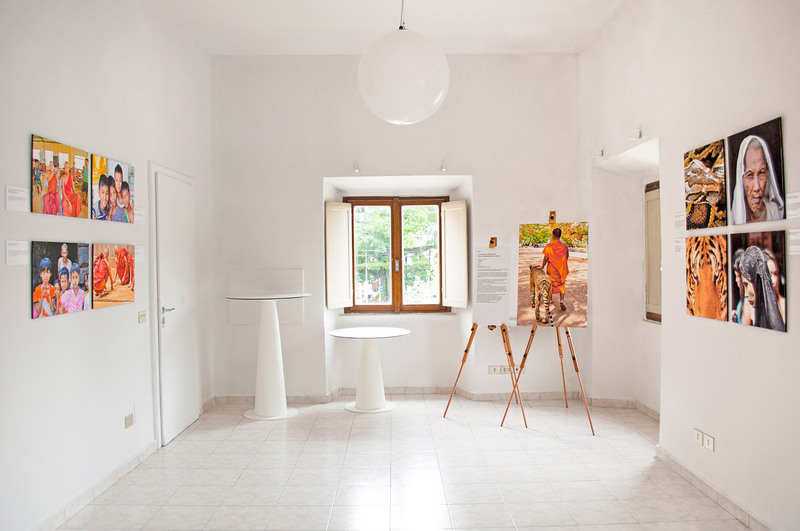 Italian style becomes the protagonist in Lithuania! 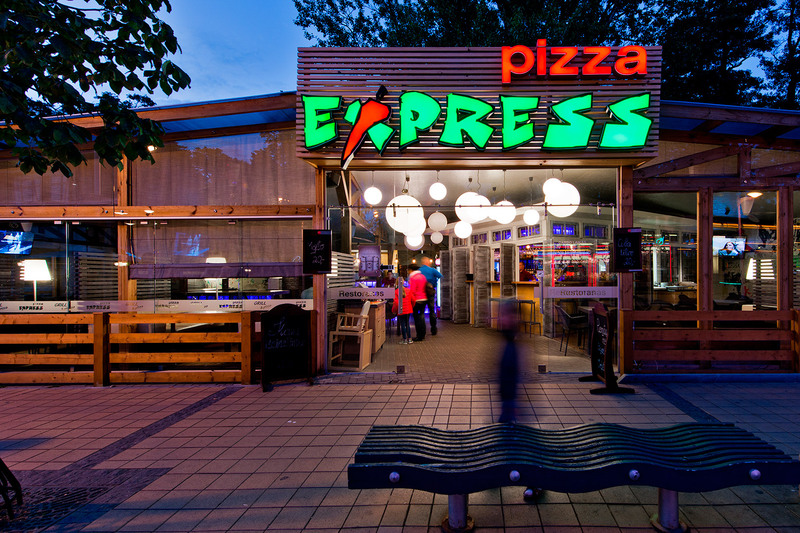 One of the most famous food franchising in Lithuania. 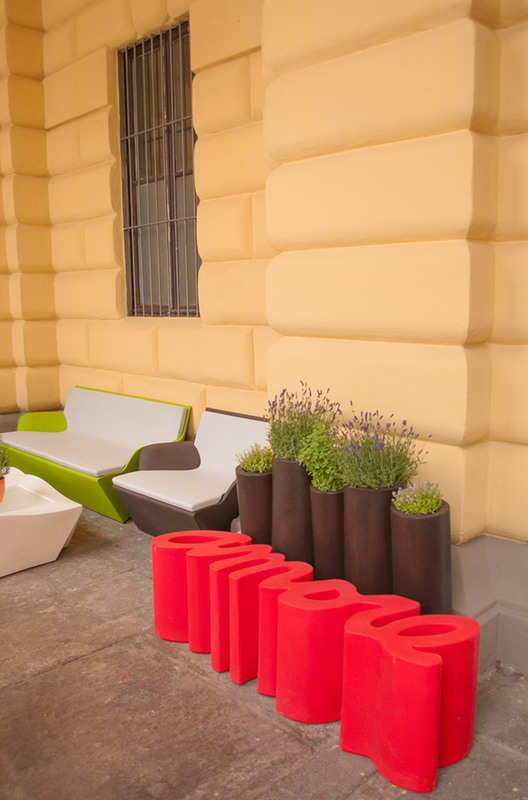 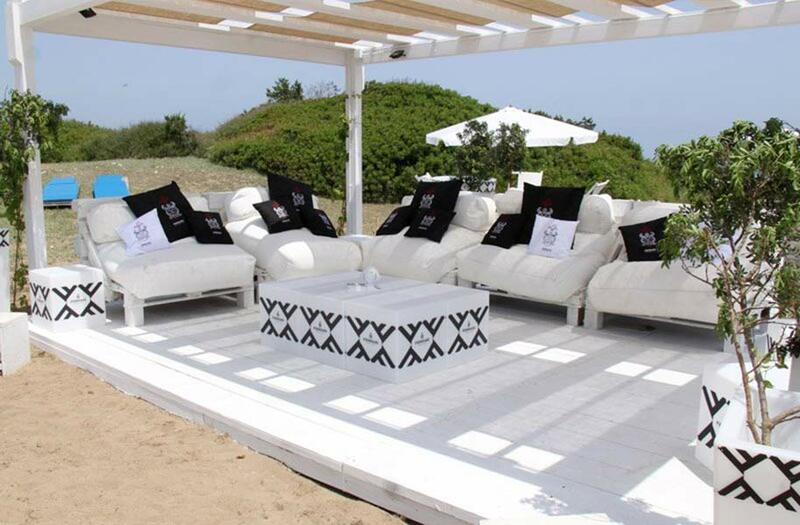 Products included in the project: Fizzz tables, design by Gianni Arnaudo.